There used to be times when occasions of life called for specific foods. We still have vestiges of that today. For example, hot cross buns, turkey and cranberries are often seen as necessities for Easter and Thanksgiving feasts, respectively. But in “olden times” many other gatherings of families and friends were celebrated and traditionally called for very specific foods to be served. There’s not a lot of people (if any) who now serve Simnel cake on Mothering Sunday (4th Sunday in Lent), or Groaning cake when a woman has been “confined” in the process of giving birth. Here’s another one I just found out about today: funeral (arval) bread – once common in the north of England. As is now apparent by my quote and this post today, the health of my friend’s husband did not improve and the family has the sad task of saying goodbye for the last time in a few days. Our collective hearts ache for them. There appears to be a few variations of this “bread.” Some say it was like a cake with raisins and cinnamon, others more like a biscuit. But they all were associated with the celebration of a life well lived, and the transition of inheritance – and responsibility. Arval was the inheritance feast of the Norse. You can see a clear influence by the Viking invaders/settlers (northern England). This bread was distributed to the gathered mourners before the funeral procession. Apparently it was provided not just as sustenance at the wake, but mourners were given it to take home, and I believe at times it was also distributed to the poor. That’s a lot of significance in a round of bread. What foods in our culture now carry such weight? We still have wakes and “celebrations of life” but nothing so circumscribed and definitive. 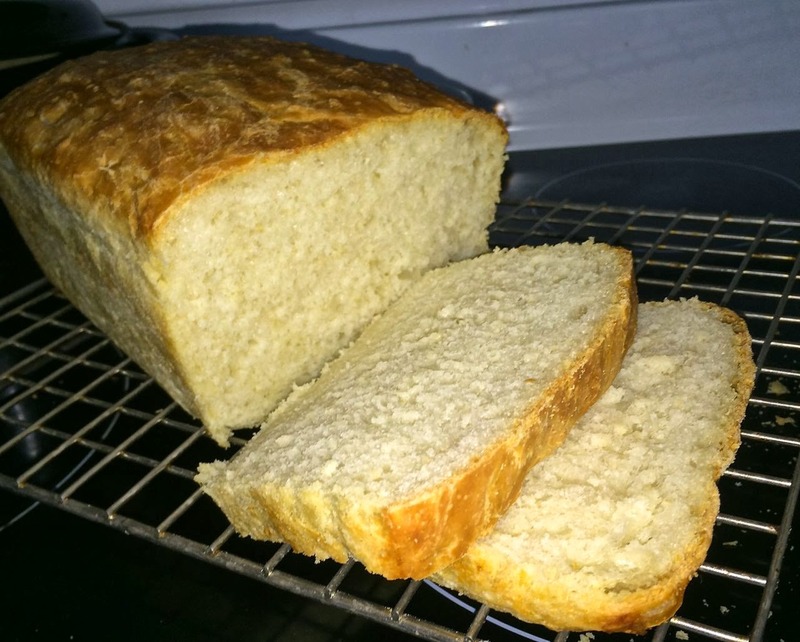 This recipe is not avral bread – not by a long shot – but it made me think, and learn, and appreciate anew. I hope you try to make this. Baking bread is a demonstration of love, and isn’t that part of the ideas associated with funeral bread? 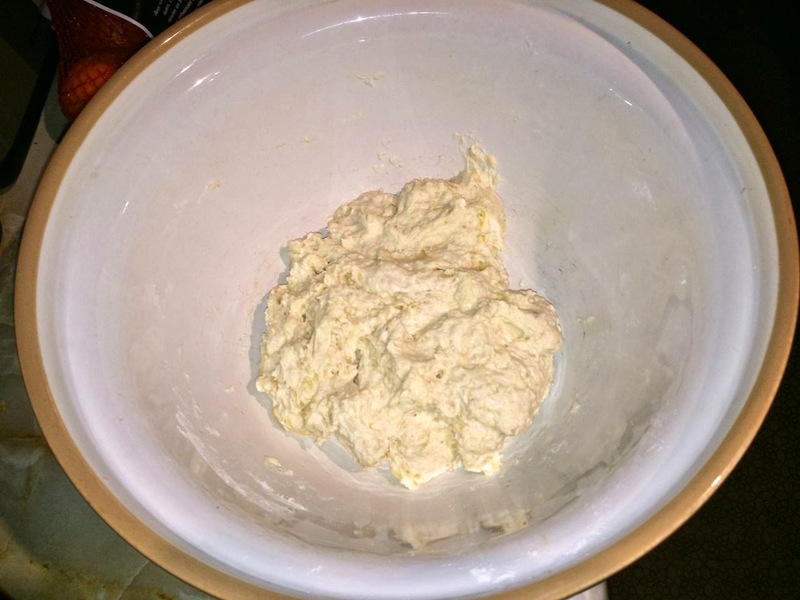 Mix all the ingredients together in a large bowl and beat with a spoon for 2 minutes. Cover with plastic wrap and a towel and let rise overnight (or 8 hours). In the morning, (sort of) knead the bread on a lightly floured surface (it will be very sticky) and place in a well oiled 5” x 9” loaf pan. 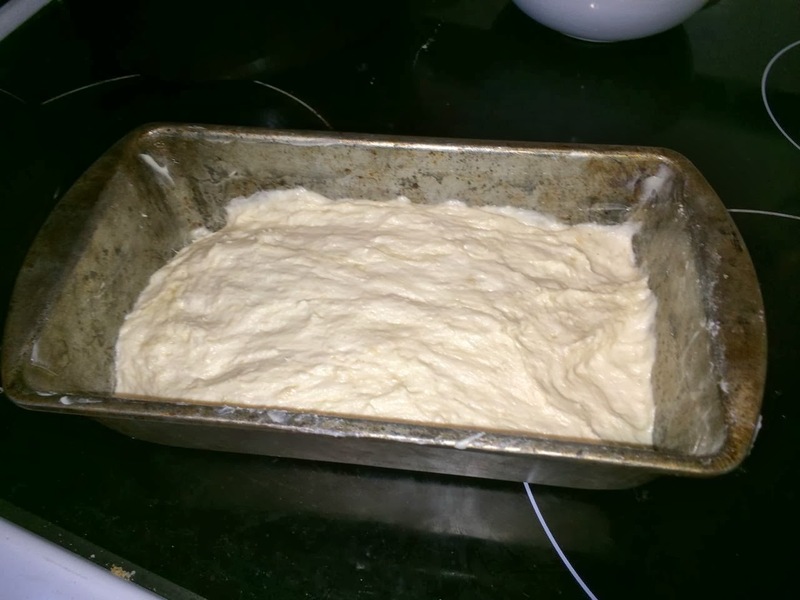 Oil your hands and press the dough out so it is even in the pan. Let rise until the dough reaches the top of the pan (about 2 hours). Preheat the oven to 425°F. While the oven heats, hydrate it with a shallow pan on the bottom rack with 1/2 cup of water in it. 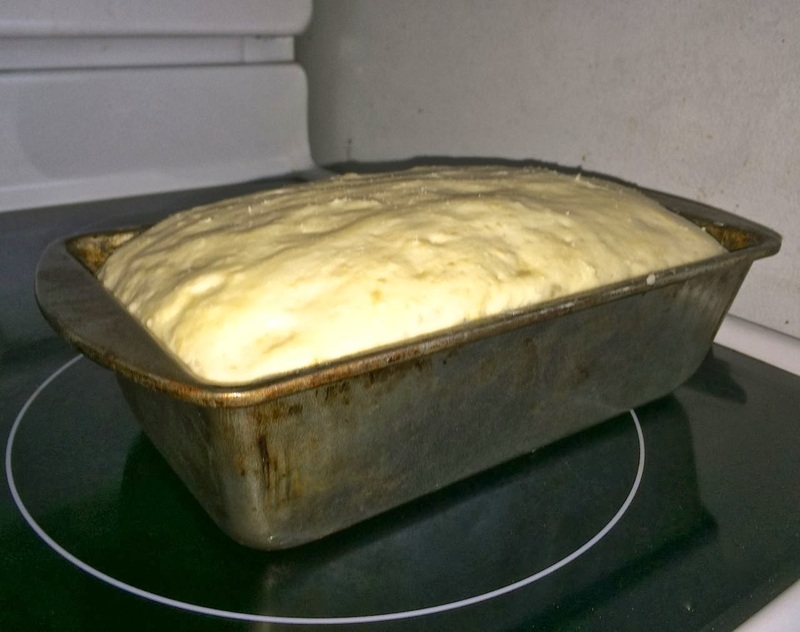 Bake the loaf for 35 minutes, until browned and hollow sounding when tapped on the top. Remove from the pan and let cool on a rack. If you like this post retweet it using the link at top right, or share using any of the links below. Feel free to comment. I'll always try to respond. If you like this post, feel free to share it. All I ask is that you credit me and share a link back to the original.